Even before I was married the doctors were telling me that babies would be difficult to have, at best, and I was wiping tears and crying out to God that I didn’t want to travel this road. I had been mothering everything around me since I was a child myself. Being a mom was in my blood. It was my hope. It was the thing I longed for as far back as I could remember. I spent evenings curled up, staring out my window at the stars that blanketed the night sky. Can I have a promise, God? I asked Him. The only words that seemed to come were simple and comforting. Do not fear tomorrow. So I clung to the promise, hoping beyond hope that He meant that I would someday be the mom I longed to be. When marriage came several years later and my cycles stopped coming, I prayed that I was pregnant. But it wasn’t a baby, it was cysts and pain and the return of my nightmare with a vengeance. I spiraled into depression as my doctor’s visits provided nothing but discouragement. The pills I tried left me with see-sawing emotions, an upset stomach, weight-gain and a growing bitterness. The pills went in the trash and I stopped looking in the mirror. For three months I did nothing. 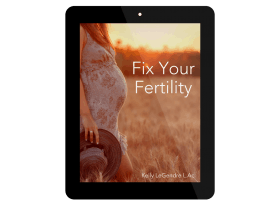 Then I started, slowly, to look into natural remedies for infertility. That led me to researching nutrition and I realized that the diet the doctor had placed me on was actually starving my body of nutrients and I had depleted my body’s natural resources to battle illness. In the meantime, my husband and I were asked to work at a mission hospital in Haiti so we packed up our little house and flew to LaColline. I fasted for several days then started drinking potassium broth (made with potato skins, carrot skins, onion and garlic) then added in the traditional Haitian diet of rice and beans with a bit of meat broth for flavor and whatever I could grow in my garden. I felt like my body, which had been tilted sideways, righted itself. The depression lifted and I seemed to wake up from a long, painful sleep. Along with correcting my physical body, God was calling me to correct my spiritual life. The bitterness over the loss of my dreams was coloring everything I did and I realized that I needed healing for my bitterness far more than I needed a baby. So I went to the only place I knew for answers. I flipped open my Bible to Genesis 1:1 and started reading. Twenty-six days later I read the last words in Revelation. God still makes blind eyes see and deaf ears hear. At the beginning of those 26 days I was blind and deaf and at the end I could see and hear. I met God, again, in the pages of Scripture. Not just as my Savior from sin or the Creator of the universe but as a God who understands pain intimately. My fears and heartache were not foreign to Him. To put it simply: I saw parts of His heart that I would have never understood without the loss of my dreams. Since that day I have experienced years of childlessness, a miscarriage, and several dips back into depression and tears. But I am learning. I’m learning that being a mom doesn’t necessarily mean bearing a child. I’m learning to love God most and to pour His love onto those around me. I’m learning to look beyond my pain to see the hurting people around me. I’m even learning to be thankful that this is my road. Hope that someday I will have the child I dreamed of. But for today, for this moment, I want to be faithful. I want my words and my experiences to point people to the cross and to the heart of God. And this is the hardest truth I know: if empty arms are the most effective way to show people the heart of God, I am willing to bear that burden. Not because I am strong enough but because I know the heart of Him who carries me. I’m so thankful for His grace. So, so thankful. Oh,Natasha…I read absolutely all of your posts and generally end up in tears and prayer at the end. Change the object of your desires to a family (loving mom/grandma, daddy and a present (physically) husband) and our stories are virtually the same. It IS amazing how God uses our pain to draw us ever closer to Him. 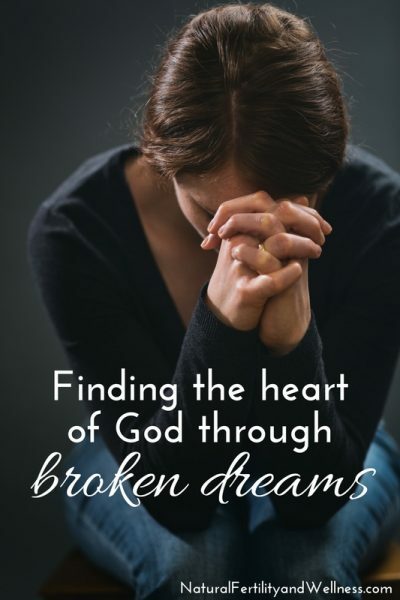 In the midst of our pain, we think “WHY ME, GOD? !” But miles down the road, we encounter something and see the Glory of God revealed a bit more than we ever thought possible and we’re absolutely blessed with strength! Not our own, but God’s strength. Suddenly, we realize we have these amazing muscles developed and in the process, we have come to know and grow closer to a very amazing and powerful God. May you know Him more and more in the years to come. And may your words draw others to His side. Another “wow” post, Natasha! Your heart for God is beautiful–and so inspiring for all of us battling brokenness (basically all of us). “Not because I am strong enough but because I know the heart of Him who carries me.”–Amen! Enjoy a blessed weekend, my friend. He is good and He daily proves Himself to us. @Diane, it still amazes me how God gives us the ability to identify with others, no matter the pain. May you feel Him near and may He fill your life with miracles. I am in a strange place. I am not getting pregnant – I hate to even use the term infertility. But I also have four children. It seems like I live on both sides of the story. I know the burden, stress and heartaches of motherhood, and yet I long (so desperately) to have more children. Being held in the arms of my Father is the only place of peace and wholeness – no matter who you are or where you are at in life. He gives us grace. And then He gives us more grace. Thank you for sharing, so transparently. Especially the part – “Hi, I hurt. But I know this really amazing God who uses broken things.” May God bless the desires of your heart. @KarieLee, My sister-in-law has three children but desperately wants more and has been unable to have them. Some days I think it is even harder on her than on me. May you feel Him in the midst. I find it so amazing that God puts the right things in our lives at just the right moment. Thank you for sharing your story. Sometimes, it’s so easy to feel like I’m the only one out there who can’t (as of yet) have children. All of my friends are on their second or third kids by now….and I’m still waiting. Through these past 4 years, my Lord has taught me so much about waiting and patience and His timing. He has a purpose and a plan, and this season of my life is not in vain. When I was at my lowest point, God reminded me that if I delight myself in Him, HE WILL give me the desires of my heart. That is a promise He gave me in His Word, and I serve a God who cannot lie. I’m still trusting Him to fulfill His promise….but in His timing, not mine. As you said, I have learned more about the heart of God through this trial than I believe I ever would have without it. That alone has made this worth it. He has proven Himself to be what He is: ever faithful. Are there times when G-d says enough…I have 4 beautiful kids here and 5 more gracing the arms of angels. Losses hurt and the last two hurt the most we lost a beautiful daughter at 22wks and it crushed my husband, when we lost another by early mc 6months later he said no more. 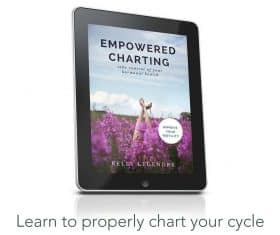 But I just am firmly against hormonal or surgical alterations To prevent blessings so we started charting and got pregnant but I have other health issues and fear this too will be a loss . I keep telling G-d I can live with 4 that I can be content with what I have but I can’t handle any more losses. Every month is a rollercoaster of hope and fear…I feel so broken, so unfixable. I possibly have hormonal or thyroid problems but the dr. Say they cant test for them while I’m prego another reason we were going to try not to get pregnant right now. I’m so confused any I feel like my emotions have change every few minutes. Thank you for a post about peace in the broken times…I’m hoping with prayer I can aply this to my life.